Just call me the Phyrexian crusader. I recently won the Phyrexian half of the Mirrodin Pure Vs. New Phyrexia Duel Decks contest and was a Mirran finalist to boot. This means my Phyrexian deck will end up available as part of a Magic Online-only Duel Deck coming later this year! Want to know about the two decks I designed and the process I used? Read on! When I heard about the competition, I knew I had to get in on it. As a designer, something I constantly crave is simply having something to design for. I continually create ambitious projects for myself just to keep the design half of my brain satisfied, and with the completion – or perhaps compleation – of each one, that hunger only grows more ravenous for the next. This contest gave me something fresh to work on. I treated it as if I was a design team, being handed duel deck specifications down from the boss himself. I closed my eyes. In my head, I was sitting at my desk, stickering cards and doing other various intern work, when I saw a figure approach from behind. I wheeled my chair around to find Aaron Forsythe standing there. I opened my eyes again. It was time to start working. At this point, I should give you fair warning. There are going to be a lot of card names in this article, and I’m not going to manually link to all of them. If you think you’re going to have to look up your fair share, I would recommend opening up your preference of card search website (I use Gatherer) so you can keep track of what I’m talking about. Alright. Back to the task. The first thing I wanted to do was look over duel deck history and see what the unwritten “rules” were. In other words, it was a question of what else was important to designing a duel deck besides the minuscule number of instructions provided. I’ve played several of the duel decks before, but there’s a difference between playing one and building the contents of one. I wanted to see what I was trying to go for. I quickly found that, even more so than I remembered, duel decks were built upon the foundation that every game should be different. Most duel decks are comprised mostly of one-ofs with 3-5 supporting two-ofs that are crucial to the deck. This is important for a product like this for a couple reasons. One reason is that you want the decks to be able to be played against each other over and over and not have it become boring. If it just turns into a constructed matchup, it stops being fun for a lot of people. There are a few reasons people really like formats like Commander and Highlander, and one of the top ones is because you can play over and over with the same decks and have radically different games. Another major reason is it lets you do add powerful cards into the decks without having to ratchet up the power level of every other card. 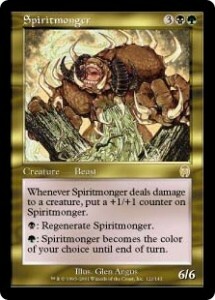 If I put, say, a Spiritmonger in the Phyrexian deck, that’s okay. Maybe if I accelerate into it on turn four it’s going to be more powerful than everything else and the game will end within a matter of turns, but the odds of this happening over and over are small enough that it adds a welcome source of variance to game play. Spiritmonger is also a card that isn’t nearly as game changing on turn 12 as on turn 4. Sure, it’s still good, but it’s fair enough that it won’t necessarily end the game in short order. Because there would be only one, it’s more likely to show up later in the game, if at all. Hold up! Not quite yet. That part is tempting, but there’s still more to do before you start throwing in cards. The thing about duel decks is that you can pull from all of Magic as long as what you pull fits the theme. Just like when drafting or building a Standard deck, you can’t just go in and start pulling out sweet cards that seem Mirran or Phyrexian at random or you’ll end up with a mishmash of cards and no coherent strategy. This is doubly important with this particular assignment. Each deck had a predetermined mythic rare. The rules called these the “face cards.” For the Mirran side it was Platinum Angel and for the Phyrexian side it was Phyrexian Plaguelord. This information muddled things considerably. It was clear that part of the process was designing around the two cards. Immediately ideas leapt to my mind, and those ideas had to be tempered with questions. For example, when I saw Platinum Angel, my first instinct was Leonin Abunas. But then my next instinct is that an unkillable Angel would be unfun, so black needed plenty of destroy and sacrifice effects. But then at that point, how relevant was Leonin Abunas in the first place? The questions continued to flow. The other side of the spectrum was even more curious. 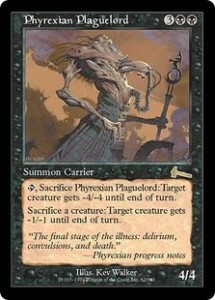 Phyrexian Plaguelord was the “general” (not to be confused with the Commander variety) of the Phyrexian deck. Clearly, this was to make sure that the deck wasn’t just some mono-infect Scars of Mirrodin based lifeform. 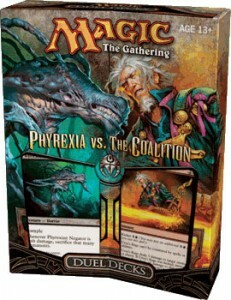 However, the Phyrexia vs. The Coalition Duel Decks already heavily used the Phyrexian “sacrifice me!” theme and had cards like Living Death to back it up. (It even had the Plaguelord in it!) These two dynamics were going to be interesting to manage. First up is, of course, theme. What themes appeal to players? What themes will make their friends want to go buy a copy? Second, if you look at all of the duel decks, there are always a couple valuable rares and a few really awesome and popular uncommons, often with new artwork. Which rares would sell the decks? I decided I wanted at least one popular casual card and one popular competitive card in the decks. In an ideal world, the competitive card would be one that you can’t get on Magic Online yet. Duel Decks don’t sell that well to competitive players, but if there’s a card they all want it will definitely generate some sales since someone would have to buy the duel decks to obtain it. It’s a win-win: good for the players because they get access to a new card for Legacy, good for Wizards because it generates Duel Deck sales. I began to narrow down themes. For Phyrexian, the ”fun with counters” theme was a clear front runner. Players love, love, love counters and cards like Doubling Season. I knew the chance to buy a pre-made counter theme deck would be a huge sell, plus giving more people access to expensive, fun cards like Doubling Season is always good. (More on Doubling Season later.) I also knew it would help me mix old and new Phyrexian cards since infect is good with cards that deal with counters and cards that deal with counters are helped by proliferate. The Mirran side was harder. I eventually decided I wanted to go R/W and eschew blue because it felt most natural to me. Blue felt like the middle child of the war, with not enough interesting cards to pull it either way. Additionally, stable manabases are crucial for these decks, and I didn’t want to use a lot of manafixing lands for a three color deck. As soon as I knew what my Phyrexian theme was, any card which used +1/+1 counters was right out since mixing +1/+1 counters and -1/-1 counters, while a nice mirroring of the war, was going to be far more confusing to players than it was worth. There’s a reason it isn’t done even in expert level sets. Anyway, I had Mirran narrowed down to a few choices. Then, while doing preliminary Gatherer searches to see what would fit in each style of deck, I stumbled across Metalworker. It was perfect! It’s a card that is powerful to and coveted by tournament players, really awesome to casual players and new players who see it (“I get how much mana for each artifact I reveal! ?”) and a great fit for the deck. It adds in a little bit of variance when it comes up early and leads to some fun stories to tell about what happened on your turn four. Furthermore, it was on the reserved list. Normally that would spell doom as a designer – but since this is a Magic Online only product, that’s okay to do. Since these Duel Decks were online only, I was hoping to put in something special that couldn’t be done. Metalworker was an extraordinary fit for the deck, and quickly pushed be into an R/W midrange ramp deck. Then came the building process. Unfortunately, I didn’t keep archives of all the cards I went through and looked at. I did write some haphazard notes here and there, and at the very end of this blog post I’ll add a note with all of the cards I ended up writing down that I considered. However, thanks to modern day card searching tools, my need to write down possibilities was reduced, so it will be by no means a comprehensive list. Chime in on the comment section if there’s a card you definitely would have put in that I totally missed! As for the process itself, for the Phyrexia deck I searched through every Phyrexian card I could find. I searched by names, sets where Phyrexia was prevalent, and flavor text to pick out any cool relics of the past. I also searched for cards that had the word “counter” on them to fit the “fun with counters” theme. I searched for a few specific effects that felt Phyrexian as well (sacrificing, for example) and picked out the best cards for the job. There was more to it than that – I used Gatherer to search for some strange things – but those were the main points. For the Mirrans, I searched through every artifact ever printed and all of the red and white cards in artifact heavy sets. I also looked through every red and white card that had artifact in the rules text. I looked into all of the mana acceleration available, all of the different removal spells and picked out the most fitting ones, and I also searched for ways to protect the Angel. She is the herald of the deck, after all. I knew flavor was very important for this process. You can’t put a card that makes no sense flavorfully in a deck just for functional purposes. Obviously, putting in something like Footsteps of the Goryo makes no sense based on name and cardtype – arcane, but it can be more subtle than that too. Another good example is Necrogenesis. That card is perfect for the Phyrexians. 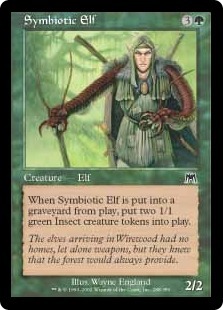 Unfortunately, it made Saprolings and there are no Saprolings on Mirrodin. Maybe you can try and make that flavor work, but I ended up deciding to not push it more that I was going to already need to. Then came the next step: playtesting. I closed my eyes again. I was back in my Wizards cubicle. I looked up to find Zac Hill standing there in a Fedora, looking over my initial lists. I opened my eyes in real life, seeing not Zac Hill staring across from me, but a word document with two decklists open on my computer. Time to game. Fortunately for me, it looked like all of my time learning how to playtest when I was on both sides of the matchup would pay off. I had thought about how I was going to playtest these decks. Since other people would be submitting decks and I wanted my decks to be fair against theirs, I briefly considered making a “stock” G/B infect deck and a “stock” metalcraft deck to try playing against to see how my builds would fare against the opposition if one of those decks was chosen. After all, the goal is to have two balanced decks at the end. However, eventually I decided that it was ridiculous to try and predict what other people would do and I was better off furthering my own designs. After all, if my goal was to win both sides, I might as well make them balanced against each other. With that said, I did keep some common elements in mind. For example, I predicted a lot of people might try going for Abunas-Angel or Darksteel Plate-Angel or otherwise protecting it, so I wanted to have sacrifice effects around. Same goes with Purge and Divine offering in the Mirran deck, since I didn’t know what its eventual opponent would have. I began to play games against myself over and over, slowly tweaking the decks every couple of games to fix some oversight, add a land, and so on. The Mirran deck was developing well. I had found a base I liked, and the addition of Sunforger felt ingenious. It both fit thematically and with what the deck wanted to do. I was turboing out fatties some games, crashing in with Chrome Steeds in other games, and it was all slowly coming together. The mix of removal, acceleration, and creatures all felt okay. The Phyrexian deck, on the other hand, ran into a problem. Everything was going well until the 25th or 30th game, at which point I accidentally read Doubling Season. I knew the card didn’t work with infect hitting players. That made sense to me, and I was willing to do that. I felt most players would get it. I had skimmed the card a few times and had the gist of what it did. I knew it was unreal with Spawning Pit and Mitotic Slime. What I didn’t realize is that it only added counters to permanents you controlled. 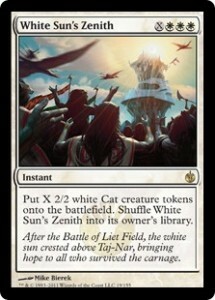 That means that if you cast Black Sun’s Zenith for 3, all your creatures received 6 counters and theirs only received 3. If they blocked one of your infect creatures, it only hit them for 2 -1/-1 counters, and so on. Suddenly, the entire core of the deck needed to be changed. I sighed and closed my eyes again. I was playtesting the decks against each other at my desk when the *pop* of a new notification hit my imaginary inbox. I opened it up. It was from Aaron. Duel decks looking good. However, we just ended up cutting this card from the design file for “Action” at the last minute. You’re going to have to find a new card to replace it. I opened my eyes, this time smiling. These duel decks were definitely a great simulation of designing a Magic product. It felt just like a card had had been cut and I couldn’t use it anymore. In a weird way, it actually felt awesome that something like this happened, even though it set me back. The experience felt all the more authentic. Fortunately, Necroskitter had my back. I had put Necroskitter in the first draft of the deck, thinking I would eventually cut it since it had wither and not infect. It had to really perform for me to keep it around. Fortunately for Necroskitter, it did! It turned out to be awesome and worth keeping since it really helped the -1/-1 counter theme shine through without Doubling Season around. 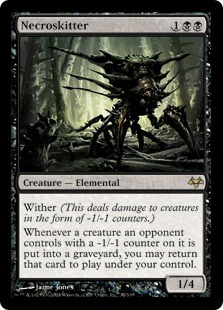 Additionally, Necroskitter is a popular casual card so it even filled the role that way. I knew it was risky because of the flavor disconnect (see my reasons for not including Gleancrawler), but playing with Necroskitter was so compelling that I was willing to take that risk. Finally, I was done working on the two decks. I submitted them to Wizards and wrote the 250 words that accompanied them as though I was a Mirran/Phyrexian leader. I thought it would be cool to use my Creative Writing background to make my submission stand out. It also helped explain Necroskitter flavorfully, which I knew was going to be a harder sell. A few weeks later, it was announced that my Phyrexian deck won the Phyrexian portion and my Mirran deck was one of two finalists for the Mirran portion. Awesome! I’ll run through the cards in both decks and give a quick blurb about their inclusion. I debated for a long time about the artifact lands. On one hand, it’s a little dangerous to put them back in these decks. They harbor bad memories for a lot of players due to affinity. They can be blown up by the Phyrexian deck early which is unfun. Plus, as with all of the old Mirrodin reprints, you run the risk of some poor kid thinking they’re Standard legal because they’re clearly from the world of Mirrodin. However, this deck really needed a few more ways to consistently pump up metalcraft and turn on Metalworker, and these lands seemed like a nice, very thematic way to do it. As an aside, I wanted to put a Vault of Whispers in the Phyrexian deck just for flavor reasons for so long, but with no positive interactions, I eventually decided against it. I knew this deck wanted a lot of acceleration available to it, and since it was pretty much limited to 1 ofs (unless I wanted a single 2 of in there somewhere) it was a matter of figuring out the best way to spread it out. I looked through all of the acceleration and picked and chose from the ones I was happiest with thematically and functionally. The Myrs all seem like clear choices here. Metalworker I explained earlier. Sphere of the Suns is the weakest one, but it does fix your mana which can sometimes be an issue and it’s brand new so it seemed like a good way to make sure the deck had a healthy mix of old and new cards. Ur-Golem’s Eye and Darksteel Ingot are fairly generic, but they fit well being from Mirrodin the first time around and make sense in the deck. Guardian Idol is a neat card I always felt was underplayed, and it gives you a creature if you draw too many mana accelerants. Bauble is another favorite mana accelerant of mine from Mirrodin the first time around. It unfortunately prompts shuffling, but since these are Magic Online decks that’s not as large of an issue. These are the “expensive fatties” the deck can turbo into. Duplicant felt like a natural fit to me as a Mirran card and I always knew I wanted it in the deck. Flamefiend is a great Beseiged card that seemed like a good answer to Phyrexia’s tokens and smaller infect guys. Battlesphere was awesome as an artifact fattie that Phyrexia has a tough time with. With that said, there are some great stories with it when the Phyrexian side managed to deal – Necroskittering back a Battlesphere is quite excellent. The Zenith is the card I was scared most of as the Phyrexian deck. You could untap and black Zenith or Contagion Engine, but otherwise a bunch of quick 2/2’s was a real problem. (As it should be, I suppose.) In retrospect maybe including White Sun’s Zenith was a mistake, but I really liked how the Mirran zenith and the Phyrexian zenith opposed eachother. Finally, Covetous Dragon is the one I flip-flopped the most on. I didn’t like how you could be 2-for-1’d with him, and I tested him as Hoarding Dragon for a while, but ultimately I went with the older card. I figured less players had Covetous, and I tried to reduce cards that create the same game states. (Hoarding Dragon always getting a fat creature, the game always ending with that creature on the battlefield.) Plus, it is a pretty powerful card on its own and kind of captures the “all-in” nature of the war well. Cavalry – but good cavalry nonetheless. I was a little hesitant on the ‘Smiths in case players couldn’t figure out how artifact lands worked with them, but I felt the “this isn’t a spell” clause already on the lands would go a long way toward fixing that problem. I knew I wanted a mana sink for the late game – Artisan – and some metalcraft creatures to support the modern day theme. The Hippogriffs are good at resetting your cards vs. Phyrexia’s removal. I wanted two of them so that this deck had game against the removal heavy Phyrexian draws. 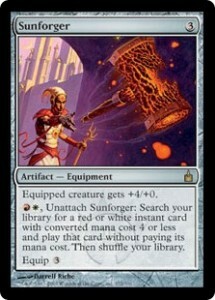 The Sunforger is probably the card I’m most “proud of” in this deck. It fits perfectly in the deck, is an equipment, and even flavorfully makes sense despite being from the wrong set. It also helps protect Platinum Angel and makes all your 1 ofs feel like a cool feature instead of random. I was looking for a good way to fix the mana in this deck and Tainted Wood seemed like the right inclusion. 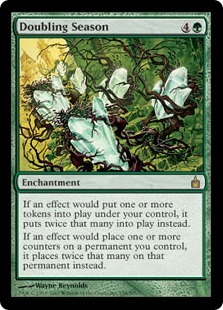 It makes sense flavorfully and it kind of a lesser known, yet perfect fitting, dual land to use. Balancing infect vs. non infect in this duel deck was tricky. I wanted the deck to be able to win by infect sometimes, normal damage other times, and – most importantly – not be frustrated if you drew a mix of infect and non-infect creatures. These cards all help that. All the infect cards but the Imps and the Juggernaut are perfectly fine creatures on their own, and the Imps/Juggernaut help to make sure some games are won by infect. The Contagion artifacts are there for counter fun and also to close games out with infect and make infect matter, while not being awful if you didn’t draw any infect cards. Plaguemaw Beast is one of the weaker cards in the deck, but I wanted another five drop creature, I wanted to make sure I had enough newer cards in the deck, I wanted another sacrifice effect, and I wanted another proliferate card. You would be hard pressed to find another card to fit that order. Plus, not every card needs to be the best card ever – it’s important the duel decks have a wide range of power so each game is different. These guys all have death triggers. Death triggers feel very Phyrexian, and fit very well in this kind of deck. On that note, Protean Hulk is a pretty fun card to play with and is like a “make your own Symbiote,” which is cool. My only concern is the “loading screen” factor as someone who plays this deck for the first time has to figure out which creatures to get. Despite being in the Phyrexia vs. Coalition duel decks, it felt too perfect to exclude. The Spitter was added exclusively as a one drop to go get with Protean Hulk. It has a surprising number of interactions in the deck, and also kills Myrs. I nearly added a second, but couldn’t find the room. I explained this guy earlier. After I saw how well he was performing, I knew all I had to do was figure out how I could explain the flavor in my 250 words (his Phyresis didn’t hold all the way) and I was set. It’s such a great card for this deck that’s just fun to play with. 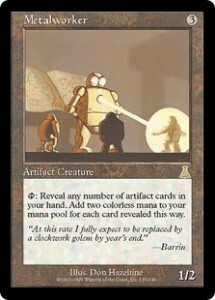 Like Sunforger for Mirrodin, the Groodion is the card I’m most “proud of” on the Phyrexian side. It’s such a Phyrexian card! It sacrifices creatures, steals energy from creatures, and has a slick Phyrexian sounding name. It’s a home run on all accounts in my book. There wasn’t room enough for both this and Culling Dias. Only one could survive. Eventually, I culled the Dias despite it being the Phyrexian stamped card. 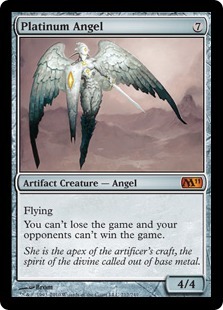 The Pit is a fan favorite and a cool card to have in a Phyrexian deck. I like that you can sacrifice more than one card a turn if you want and that it generates more creatures. It just felt right on so many cylinders over drawing cards. I was pretty happy with the removal suite here. The mirrored sacrifice of Innocent Blood and Barter in Blood feel very Phyrexian and work well with all of the tokens and death triggers. (Plus they beat Platinum Angel shenanigans!) Oxidize seemed like an obvious inclusion for Phyrexia – it even has Platinum Angel in the art! Putrefy is an awesome Ravnica reprint, and Spread the Sickness helps push the counters theme a little. I knew I wanted a mass removal spell in the Phyrexian deck, and -1/-1 counters for everybody seemed like by far what this deck was looking for. What a Phyrexian thing to do. Play with Necroskitter for extra fun! I wanted to reprint some cool cards that brought back creatures because of all the synergies in the deck, and Servitude and Exhume fit the bill. Exhume is played enough and popular enough that I figured you could commission some awesome new art for it and a lot of players would want to get them. Morbid Plunder, while less exciting, is a newer card to help bridge the gap. Plus, bringing back two creatures in this deck is nothing to laugh at! Well, that wraps up most of this colossal blog post. I don’t know if this will actually help anyone else (definitely post a comment if it did), but I wanted to get my thoughts down on the process before too much time passed so I could have them for future reference. What else are blogs for, after all. First, someone who heard I won the contest sent me an e-mail a week ago asking if I were to commission new art for cards in the winning duel deck, which cards I would choose. I think the cards I would consider for the slots would be Symbiotic Elf, Protean Hulk, Putrefy, One Dozen Eyes, Diabolic Servitude, Tainted Wood, Exhume, and Soul Snuffers. With that said, I don’t think online Duel Decks will get new art commissioned – but I could be wrong. Finally, I promised you the list with all of the scraps of potential cards to consider that I wrote down. I’ll put it below. Like I said, it’s nowhere near the entire list of cards I considered, nor was anything I wrote down considered for more than a handful of seconds. Still, it was written down – might as well list it for the sake of completeness. Thanks for reading, everyone! If you have any comments, please post them below or send me an e-mail. I’m curious to know what you would have changed or if there are any cards you think I missed that you would have definitely added. Talk with you in the comments! No love for Loxodon Warhammer? Seems like a strong card, and yet not too broken because of the ever-present possibility of an infect win. Good work! I’ll be interested to see how WotC rebalance the decks since your Phyrexian deck looks like it will win most of the time against Burke’s Mirran deck. I loved the inclusion of Necroskitter when I first saw it, so perfect. Spawning Pit is the one card I felt kind of iffy about when I first saw the list. Your justification of it makes it make more sense to me, but it just feels kind of weird for some reason. Probably just because it makes 2/2 artifact Spawn tokens, which while certainly possible for Phyrexians, don’t necessarily fit together perfectly in my mind. I dunno. Also, I probably would have tried to include Plague Boiler over Black Sun’s Zenith, just because I love Plague Boiler and feel like it fits totally. But I would have been wrong. BSZ is a way better choice. Great write-up, I really enjoyed reading this ‘insight behind the scenes’ on your approach, and congratulations on winning!